John Morgan discusses a lawsuit he filed challenging the state's ban on smokable medical marijuana outside the Leon County courthouse in Tallahassee in July. 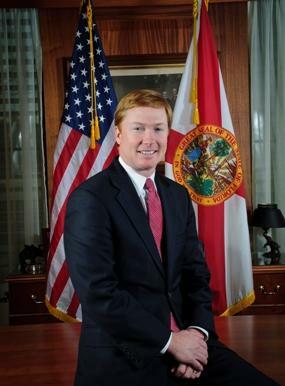 One of Florida’s most prolific Democratic donors, a bourbon-swilling, salty-tongued lawyer with his own slogan and medical marijuana as his pet cause, is out. 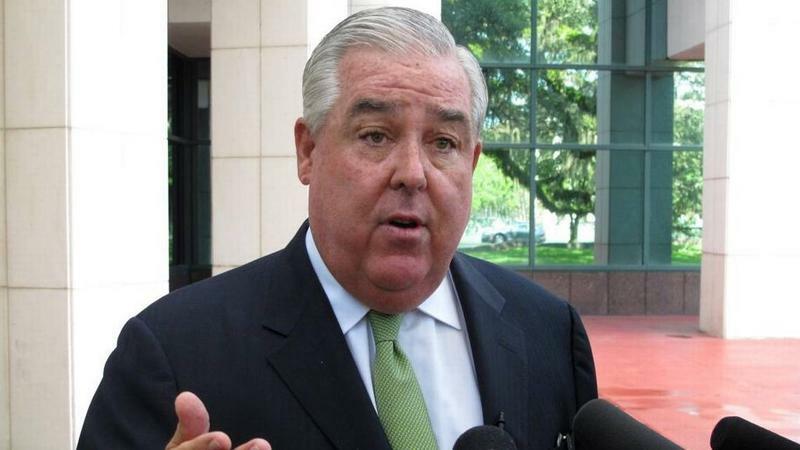 In a series of tweets Friday morning, John Morgan announced his flirtation with running for governor as a Democrat is over, as is his affiliation with either political party. “While it’s amazing to be leading the polls for Governor without being a candidate I can’t muster the enthusiasm to run for the nomination,” he wrote. A new medical marijuana controversy erupted over the weekend when South Florida Congresswoman Debbie Wasserman Schultz weighed in. Wasserman Schultz chairs the Democratic National Committee. So last week, when she voted against legislation in the House that would prevent the federal government from interfering with state medical marijuana laws, Florida took notice. That's because Sunshine State voters will decide in November whether or not to legalize medical marijuana.